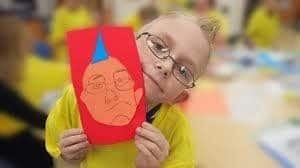 More than 1,000 children and youth and 300 adults involved with various agencies and schools across Clermont County participated in the national effort to use art to express feelings. This exhibit is a partnership between FAST TRAC and The EastGate Mall to highlight and showcase the impact of the “art action” and to raise awareness of mental health issues. The Art Gallery and Reception are free and open to the public. The ‘My Feelings are a Work of Art’ display is located next to Sears and Willis Music in The EastGate Mall. The Opening Ceremony is Thursday, September 19th, 11:30 a.m.-1:00 p.m. A light lunch will be served. View flyer here. Monday through Saturday, 12:00 p.m. – 9:00 p.m.